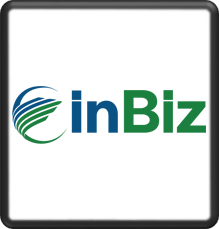 InBiz is a reality based 30-minute television show that shines a spotlight on a variety of businesses, in a cooperative approach, where owners and industry professionals take you behind the scenes to share their ideas on how they are successful in business. InBiz was conceived as a total solution to bring business owners and those that support them together to reduce risk and maximize success. Through the medium of television, with powerful online services, we offer a unique way to Watch, Learn, and Find! Viewers watch our show, learn from our interactive resource center, and find the information they need in our powerful online databases. Under Fire is a real-life dramatic 30-minute television show that features firefighters. It's taped live from a unique perspective – certified firefighters, armed with cameras, go inside burning buildings recording dramatic rescues, resuscitations, and firefighters risking their lives to save others. This television show has featured countless stories of extraordinary heroes performing rescues including air lifts by helicopter through dangerous lightning storms and cutting through automobiles with the jaws of life to pull victims to safety. The show first aired on UPN beginning in ‘93 and garnered significant ratings through Nielsen Media Research. Zerfas was first released as a vinyl LP in 1973. The album tells a story about the life and times of its producer in the wake of the Vietnam era through music. First cut with the guidance of Moe Whittemore, owner of the 700 West record label, in his studios in New Palestine, Ind. – the album was the result of a teenage band influenced by artists like The Beatles, Simon & Garfunkel, Crosby, Stills and Nash, Led Zeppelin, and Frank Zappa. Today copies of the original album are extremely rare and highly valued. Our name, Ozone Unlimited, made its first appearance on the back of the album.